India is home to around 573 tribal groups and communities, each of which follow their own culture and tradition. Festivals are an important part of the life of these tribal groups. There are a number of tribal festivals which are celebrated by various tribes in India. During these festivals, the tribal groups wear their own traditional costumes and jewellry and follow their long-established dance forms. Whether it is the state of Jammu & Kashmir, Kerala, Gujarat, Rajasthan, Manipur,or Orissa, tribal festivals are celebrated in almost every corner of Indian states. These tribal festivals are celebrated with a view to appeasing the presiding deities of the tribes. In the state of Madhya Pradesh, tribal groups celebrate festivals like Madai Festival, Bhagoriya Festival, Nagaji Festival, Karma Festival etc. During these tribal festivals, various dance forms are performed to the music of drums, tablas and flutes among other instruments. The Gonds and the Bhil tribes mainly celebrate these festivals. Tribal groups in Orissa celebrate festivals including Bali Jatra (Koraput tribe), Karma Festival (Ho, Kisan, Kol, Bhumij, Oraon, Bhuiyan and Bhinjal tribes), Bija Pandu Festival (Koya tribe), Kedu Festival (Kondhs of Phulbani), Chaita Parva Festival (Koraput, Bhuiyan tribes) and Maghe Parab Festival (Ho, Oraon, Kisan and Kol tribes) among others. 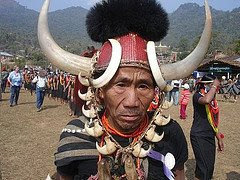 Nagaland is also much popular for its tribal groups and the festivals they celebrate. 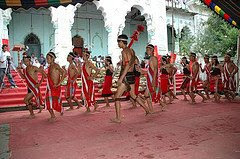 Major tribal festivals celebrated in the state of Nagaland are Mimkut Festival (Kuki tribe), Sekrenyi Festival (Angami tribe), Tshukhenyi Festival (Chakasang tribe), Aoling Festival (Konayak tribe), Monyu Festival (Phom tribe), Moatsu Festival (Ao tribe), Ngada Festival (Rengma tribe) etc. Rajasthan also features a number of famous tribal festivals. The Bhil tribes in Rajasthan celebrates the Baneshwar Fair. The Bohaggiyo Bishu tribal festival in Assam is observed by the Deori tribes. The states of Jharkhand, Andhra Pradesh, Karnataka and Maharashtra also are home to many tribal groups, known for various Indian tribal festivals. nagaland is such a beauty place for toursim. I like their tribes &traditional festival.